This is a picture of a Chain Moray Eel (Echidna catenata) that I captured in Roatan, Honduras. This variety of eel can grow up to 24 inches long. Although I couldn’t see the body of this one, as it was all tucked down into a coral head, I would guess that it was a juvenile – the head was not very large. 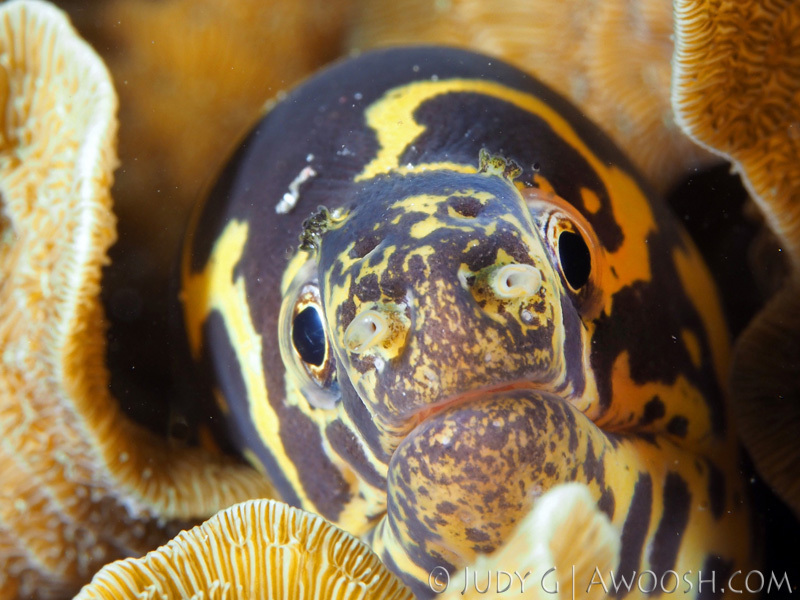 This entry was posted in All About Scuba Diving, Photography, Pic of the Day and tagged Chain Moray, CoCo View Diver Resort, Echidna catenata, Roatan scuba diving. Bookmark the permalink.